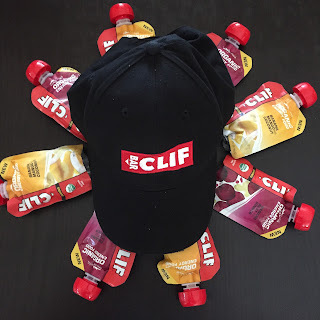 Disclaimer: I was sent pouches of Clif Energy Food for review and giveaway purposes. I received no other compensation and all opinions are my own. Hi Everyone! Happy Wednesday! This means we are on the best part of the week slip sliding into that awesome weekend! Before we get to the roundup, I have to tell you about this awesomeness from Clif. You know Clif as home of the Clif Bar and Shot Bloks. But now, they have come up with REAL. Organic. WHOLE Food! Ingredient list you say? How about Banana? Mango? Coconut? Sea Salt? When Clif reached out to me to see if I would like to try these real food pouches, I was pumped. I have been wanting to try these for a LONG time! But yes, I was skeptical. Would it taste like baby food? But I knew I had to try it. For the good of the people. Haha! So I grabbed a Banana Beet Ginger flavor and headed to the gym to run on the dread treadmill! And of course, I had to wear beet colored Spandits to match my beet flavored pouch! I won't lie. These taste NOTHING like baby food. They even taste like dessert. Sophisticated smoothie? You can taste each flavor in the pouch! I cannot wait to try this on my LONG run (20 miler) this weekend! 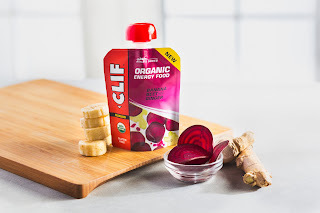 So, because I always ask for extras to giveaway and because Clif is awesome, they are letting me giveaway 4 pouches of the Mango and 4 pouches of the Beets to ONE lucky winner! Enter on the Rafflecopter widget! Winner will notified via email (if available) and/or blog post, and will have 24 business hours to claim prize. If original winner does not claim prize within 24 business hours an alternate winner(s) will be selected. Winner will be provided the prize directly from Clif Organic Energy Food. Substitutions unlikely but may apply. SD Mom not responsible for failure of sponsor to deliver product. Okay, now on to the GIVEAWAY Roundup part of this post! 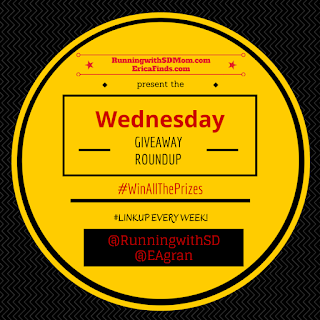 As always, Erica and I together bring you all the great giveaways from around the interwebs! For a refresher on the rules to link up, read them here. Otherwise, please link up your giveaways with us and enter them all! They are so much fun! So, have you ever tried food from a pouch? Which giveaways will you enter? Good Luck! I am currently fueling for my 1st marathon with Carb Boom energy. It's the same concept! I have not used pouched food for energy. I have entered a few give aways from the round up before. I actually tried this product at an expo a few months ago and loved it! I have entered a few more giveaways from the round-up. I love helping to get the word out about these awesome giveaways! Never tried food from a pouch. I'm about to enter more of these giveaaways, you were first on the list. I've been really wanting to try these! I've been dying to try these! The pizza one sounds up my alley. I eat some applesauces and fruit mixtures in pouches. 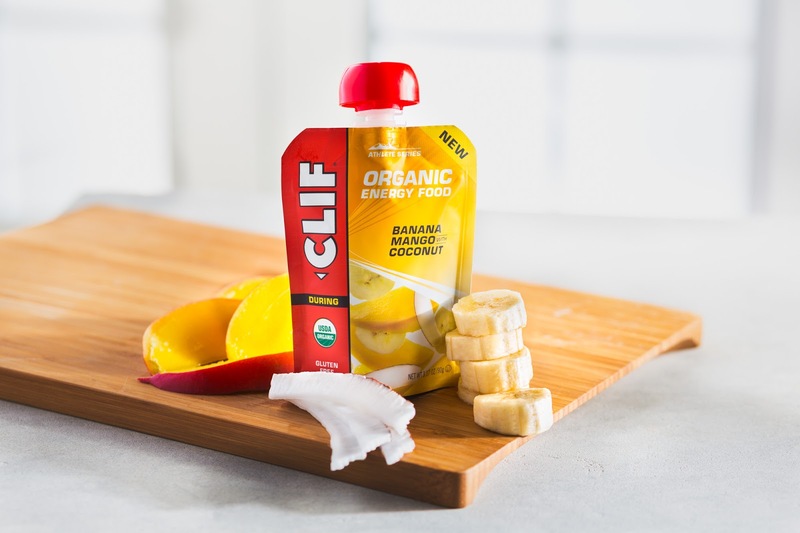 I'm curious about these Clif ones! Yes, I have tried food from a pouch. I have gotten some samples from RunnerBox, but I really like Cliff products so I think that I would like these! I have entered giveaways like this before. I love to try new stuff. Yes, I've had "pouch food" before - great for when I'm surfing and need quick sugar! I've only tried the applesauce in pouches before and it's incredibly convenient. I could see these Clif pouches being useful during long runs. 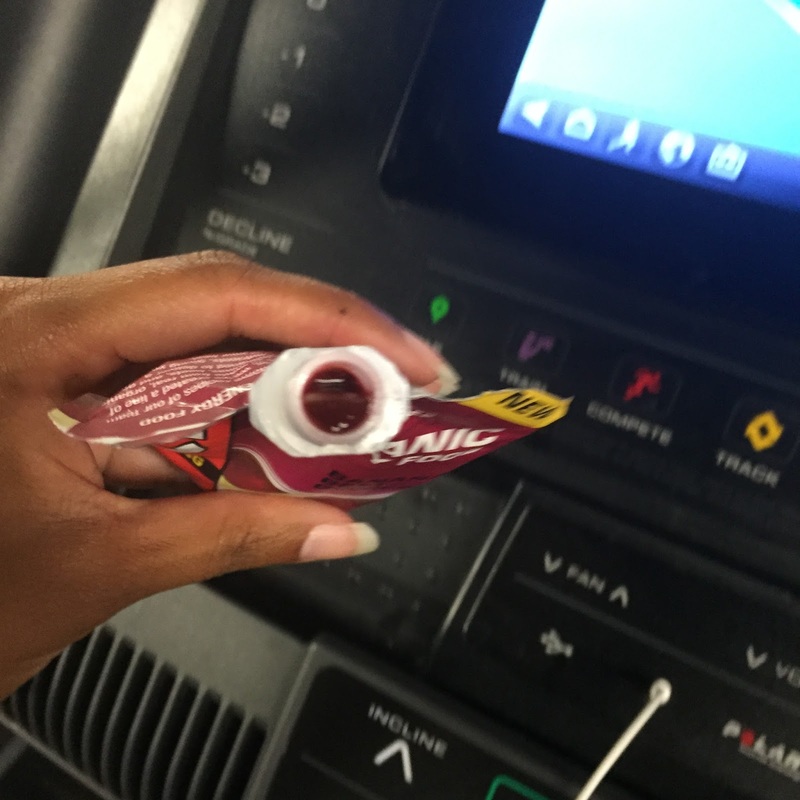 I've tried the Powerbar Energy Blends before, but would love to try the Clif ones! Banana Mango Coconut sounds delicious! It looks good! And it's packed very handy! Would love to try these. Never had something like this! I'm entering the other giveaways. I've actually never tried a pouch food but it seems good for on-the-go days. I have tried stuff like this but I have not tried the Clif. I would like to because I think it would help promote my active lifestyle. nope, I never tried anything from a pouch. yup, entering lots..thanks! 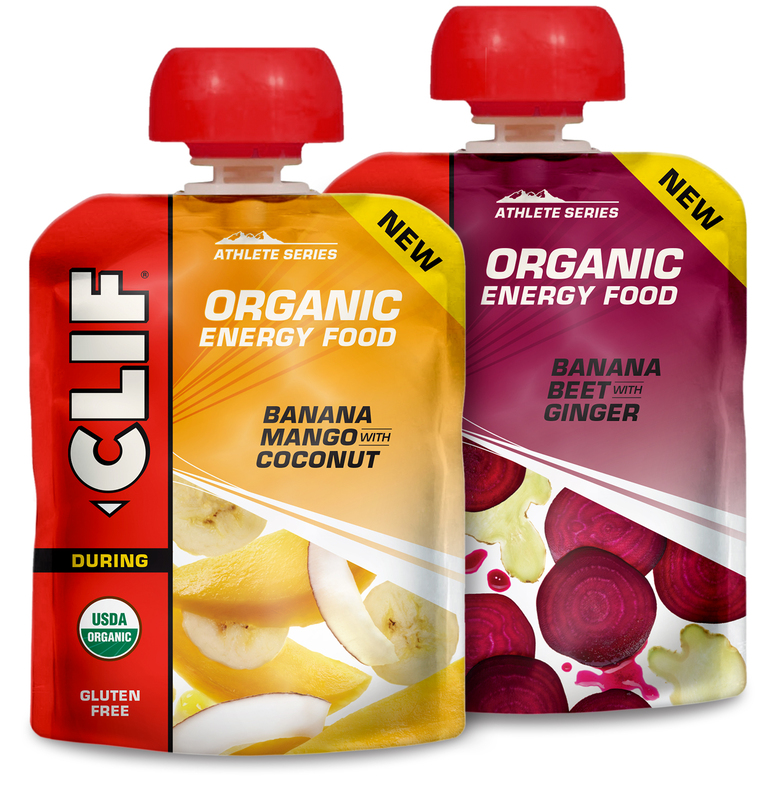 I love cliff bars, want to try these pouches they sound great! I have enter giveaways it's my first time joining in with a giveaway! Thank you!! I tried pouches during training for a half marathon. Disaster, especially with gloves :( These look easy to open, tho! Love this giveaway. I have tried food from a pouch for energy and liked it. I haven't entered any other giveaways that I can recall. I love apple sauce pouches but I have never tried these! I'm really interested in trying the Clif whole food pouches! I have not tried these but would love to! The Mango sounds delicious. I haven't tried pouch energy yet. I have used the stringers before or the mama chia. I have not tried any food from a pouch before. I haven't tried a pouch yet. My kids have had kids' ones.